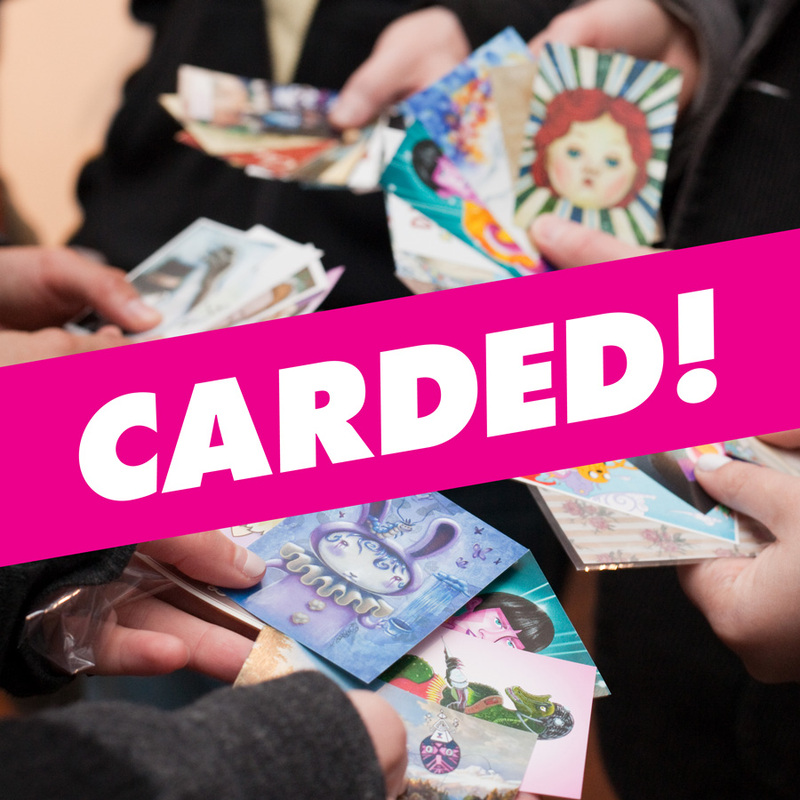 The creators of Hot One Inch Action present CARDED! a one-night only show of art reproduced on trading cards. The work of fifty artists is presented on trading cards and made available for art lovers to collect and trade. These 2.5″x3.5″ cards are displayed on the gallery wall and the audience is offered the opportunity to buy random cards in mixed packs of five for $5. If you purchase a pack that doesn’t have your desired card, get into some fast paced trading action with the people around you. How bad do you want that card! ?